Love is not about how much you say “I love you” but how much you can prove that it’s true. Treat your loved one with our special Valentine’s room package, inclusive of a 5-course set dinner for 2. Welcome drink for 2 persons. 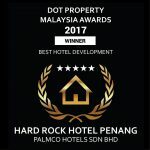 Exclusive Rock Royalty Level Lounge access for 2 persons. 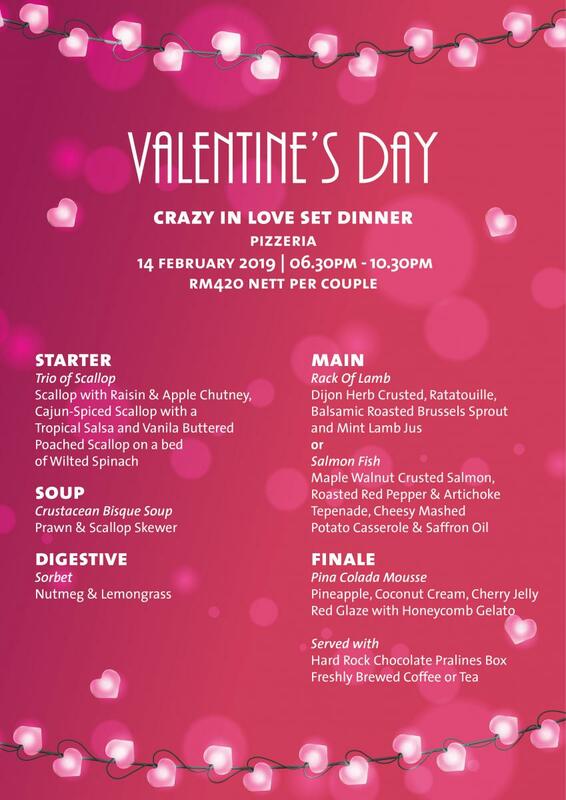 Crazy In Love 5-course set dinner at Pizzeria for 2 persons. Chocolate strawberries in room as turn-down gift. 15% discount on ala-carte treatment in Rock Spa. Complimentary WiFi and wired internet connectivity. Top up RM170 nett per couple to enjoy the Love Shack 8-Course Set Dinner at a Private Cabana that includes 2 glasses of Valentine cocktail or mocktail, a bottle of white or red wine, strawberry pralines and a stalk of rose for the lady. Valid on 14 Feb 2019 only. Extension of stay will be chargeable based on prevailing Best Available Rates / Early Bird / Ultra Early Bird. All bookings must be made prior and rooms are subject to availability.